Both Harder and Riccardi have been with Durst for more than 20 years and take on their new roles having served in various management positions. Durst has opted to restructure its large-format arm following the introduction of the P5 technology platform, as well as with the ongoing development of hybrid printing systems in mind. The business unit will now be controlled from the Durst headquarters in Brixen, Italy. Harder will become global sales director for the large-format arm, following a spell in worldwide sales management within the company's ceramic printing division. He was also previously responsible for sales in Eastern Europe and Latin America in the large-format segment. 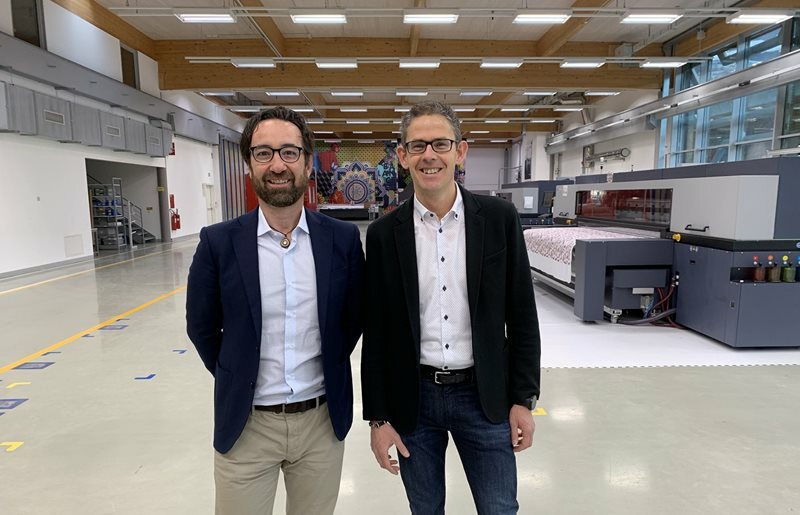 Riccardi moves into the role as head of product management for the Durst large-format division, having worked for a number of years in direct dales for large-format in Italy. Since the end of 2016, he has been responsible for the product portfolio in large-format web printing and further development in soft signage and fabric printing. Speaking to FESPA.com about their new roles, both Harder and Riccardi said they are looking forward to supporting Durst and its customers around the world in the large-format market. Riccardi also said: “We are developing for the present-day and future needs of our customers and focusing not just on machine construction, but also on the entire production process. Both Harder and Riccardi also spoke to FESPA.com about Durst’s presence at this year’s FESPA 2019 event, saying that the manufacturer will use the much-anticipated event to showcase its kit to existing clients and also reach out to potential customers in markets worldwide. The FESPA Global Print Expo 2019 will take place from May 14-17 in Munich, Germany. To find out more about the event and plan your trip, click here.